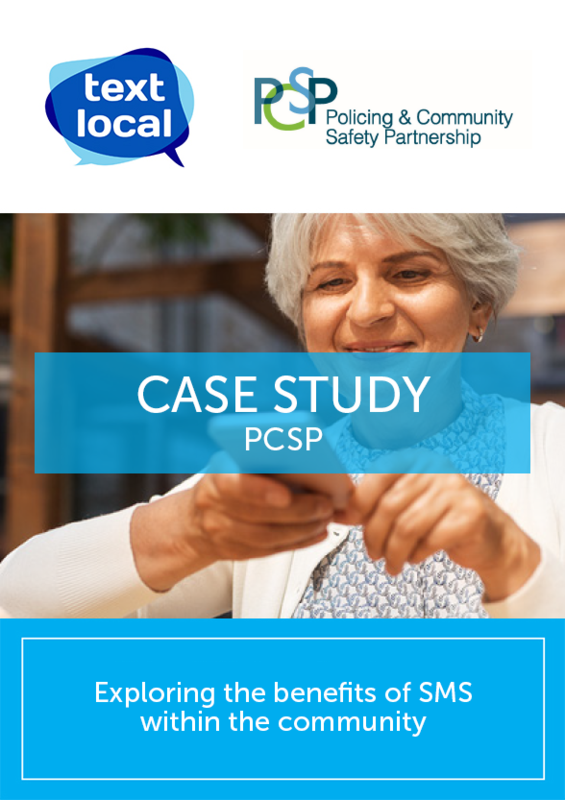 PCSP Armagh, Banbridge & Craigavon Policing & Community Safety Partnership have been using Textlocal’s SMS services for over two years and recently gave us an insight into the benefits of using SMS to share alerts and key information. Was there a particular challenge that led you to start using SMS? Recent changes to policing structures have resulted in a reduction in the number of Neighbourhood Policing with enough and that information was not being shared enough. They felt “out of the loop”. Of course, the emergence of social media has helped with that, but we have found that there are some advantages of SMS over Facebook. Have the SMS alerts helped increase efficiency? The two services (Police and ourselves) have a healthy social media presence, but we have found that the Older people, those who are technically less able, and those with busy lifestyles without time to scroll through loads of posts to get our information, see our SMS scheme as a better, more immediate way to received information from us and our police partners. By way of example, if the police have issued an alert regarding a vehicle they are looking for that may have been identified as involved in an incident, a person that receives a text will look at it immediately and may be able to alert police to the whereabouts of that vehicle immediately. The same alert on social media will require a user to check their Facebook notifications or trawl through all the other posts on their newsfeed. Most people only check their Facebook page at certain times, like tea-breaks, in the evening or first thing. This means people see the alert too late to be of help to catch a criminal. Almost everyone will look at a text immediately as it could be from a family member or about a service they have requested. Has this led to an improvement across the community? Although our scheme was in its infancy in the last financial year it has grown in popularity, we had some issues last year in persuading our police colleagues that it should be used alongside their social media platforms, mostly because younger officers see Facebook as the only way to communicate and that text messages were a little old hat. We have had some success in turning this thought process though. We have not yet gathered performance information in this financial year where we have increased our registered users and number of messages sent (satisfaction survey due to be carried out in the new year).